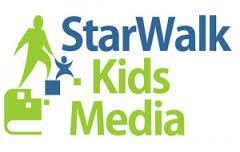 Starwalk KidsMedia is an excellent collection of e-books available simultaneously to your students at school and at home. It also has a log-in and features for teachers. Watch the first video link below to see how you can use it with your students. The second link shows special features you can use with the teacher log-in. To log in to Starwalk, click on the logo at left and enter haddamtr for your username and haddamtr for your password. Video to show an overview and how to help your students, Click HERE. It is the first video. Video to show special teacher functions when you log in as a teacher, click HERE. There are so many lesson plan databases online, but Thinkfinity stands above the rest because its content comes from the best names in learning-language arts from ReadWriteThink, math from NCTM, science from the American Association for the Advancement of Science, and more. TeacherTube is the best source for instructional videos in a safe environment. Search More Than A Million Common Core Videos, Games and Assessments. This is a catalog of 750,000 free, standard-aligned educational videos and games. Teachers can search by keyword or Common Core standard to find online tests and quizzes that can assess students’ content mastery—free of charge. This website is devoted to providing Connecticut educators, families, and community members with valuable and accurate information. Are you a member of edweb.net? It is free and filled with learning communities and webinars. You can join a live webinar to earn C.E.U.s or you can view the transcript of a past webinar. Sign up for one of our free webinars and you'll receive a CE certificate for attending or viewing any of our sessions. Join a professional learning community to continue the conversation and connect with other educators. View Recent Webinars (These took place already but can still be viewed here). View "Classroom Tools to Teach Inference - CCSS Standard 1"
View "Why Fractions? Why Now?" View "Helping Children Make Sense of Numbers"
View "Guided Inquiry Design and the Common Core"